I’m thrilled to finally announce that my 1st book is now available on Amazon.ca and Amazon.com. 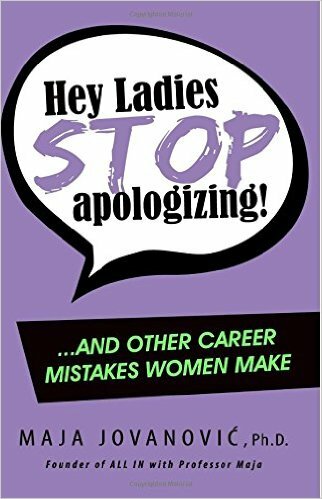 “Hey Ladies, Stop Apologizing…and other career mistakes women make.” is published by Rock Mill’s Press. Kindle versions arriving at the end of the month. This book is meant to make you aware of your bad habits, to push you out of your comfort zone and into action, and to motivate you to reach UP, to dream bigger, and to aspire to leadership positions in all areas of your life. This book is for all the people-pleasers, the apologizers, the perfectionists and the procrastinators. This is for all the women who downplay their achievements, who hate self-promotion and who stop trying after they’ve failed at something once. I wrote this for you. I wrote this for all of you. The accompanying work-book (a journal-style book filled with exercises) will be released within the next month also! 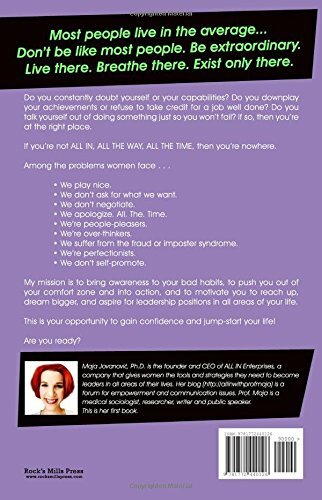 Next reading Hey Ladies, Stop Apologizing THE WORKBOOK coming soon…..